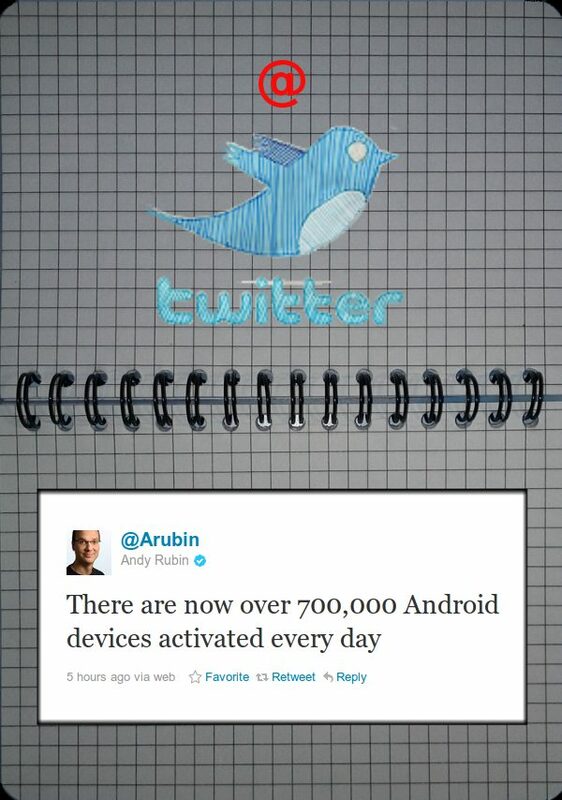 700.000 Android devices activated per day. An impressive number. No updates or custom Roms included in this numbers. It's activation of new devices. 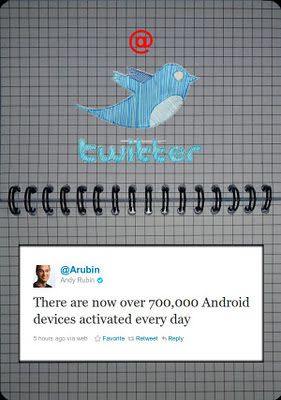 Andy Rubin stated this in a tweet and was confirmed. Wow. While the patent-trolls at Apple are still trying to put Android to the rest with lawyers, the customers showing clearly what they prefer, by buying! Take that, iOS fanboy-developers. I think it's time to rearrange priorities. I'm curious for the numbers after the holiday season. Go little green robot, go!